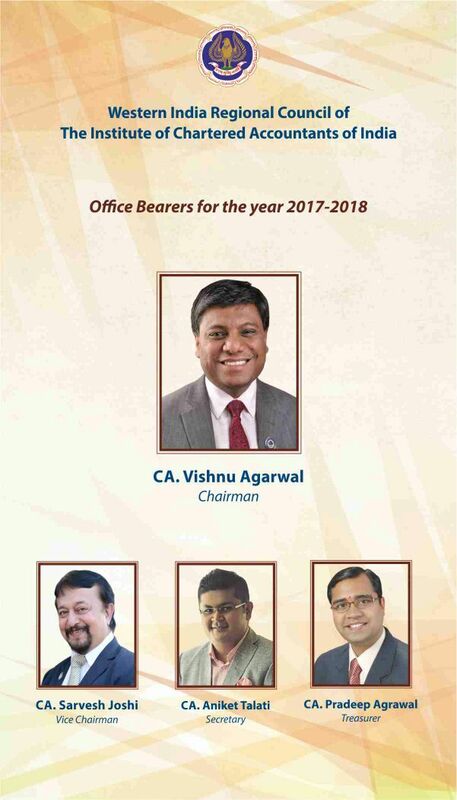 STARFRIDAY : WIRC of ICAI for the year 2017-2018. WIRC of ICAI for the year 2017-2018. Western India Regional Council of the Institute of Chartered Accountants of India at its 321st meeting held on Friday, 24th February 2017 has elected the following Regional Council Members as Office Bearers of WIRC of ICAI for the year 2017-2018. It is also informed that CA. Balkishan Agarwal, Surat has been elected as Chairman of the Western India Chartered Accountants Students Association (WICASA) for the year 2017-18.